Ultrasound can be useful in evaluating soft tissue abnormalities. One of the most common areas of concern can be swelling at the back of the knee. 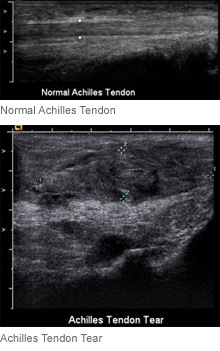 Additionally, ultrasound can demonstrate abnormalities of the tendons in the shoulders, hands, and feet. This is particularly helpful in patients who do not wish to or cannot have an MRI study or want a less expensive screening exam to determine whether an abnormality is present.